The cake i made for the tickle editorial department. I thought real hard about what to write on it. 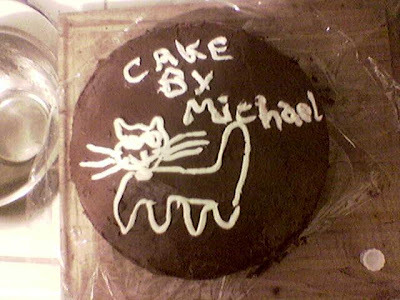 "Cake by Michael" was the best i could come up with.